Being a computer geek was never supposed to be dangerous... Neither was falling in love. 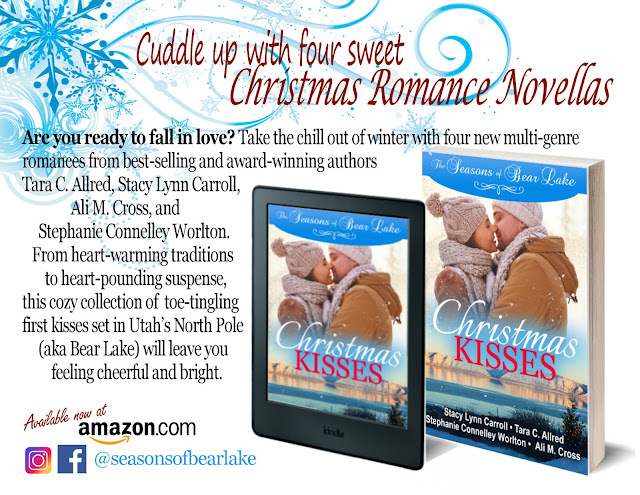 Get hooked on the new NOVELS based on the BEST SELLING Secret of Secrets novella trilogy! 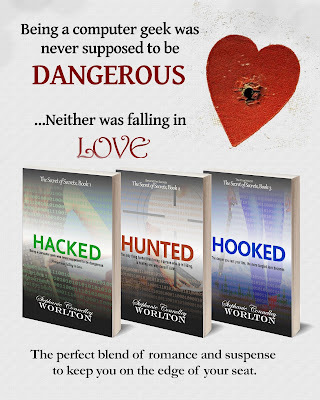 Start the series with HACKED: The Novel for FREE on KindleUnlimited (only $0.99 without), then keep the excitement going with HUNTED: Beyond the Secrets and HOOKED: The Final Hack. NSA data analyst Samantha Perry never imagined life as an introverted computer geek could get dangerous, but when she digs a little too deep into a greedy blackhat's business, trouble comes right to her doorstep. Changing her identity and relocating nearly 2000 miles across the country are only the beginning of her problems. As she risks everything to try to close the case that turned her life upside down, she may end up putting a nail in her own casket. And if she doesn't, Seth, her hot new neighbor, just might. A life-changing mistake. A soul-changing journey. Sydney and Alex are the quintessential high school sweethearts on the brink of graduation. Sydney, an exuberant, intelligent, top-of-her-class student, is well on her way to being a success as she tries to decide which scholarship she should accept, while Alex, the quiet and reserved jock is planning to postpone his education while he serves a two year mission for the LDS church. Together they are looking forward to their last summer as carefree adolescents; however, as their much anticipated graduation day arrives, their seemingly perfect worlds come crashing down around them when they discover that Sydney is pregnant. Both practicing members of the Mormon faith, their very foundations are shaken. Alex’s dreams of serving a mission for his church painfully fade from reality at the same time that he begins to question his love for Sydney and his ability to be an adequate provider. Sydney finds herself alone; her hopes and dreams in rubble at her feet. 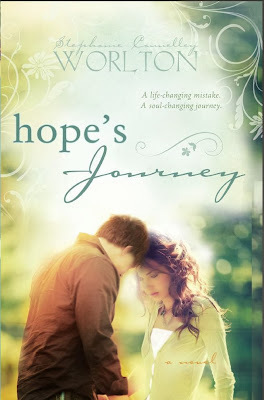 To read the first chapter and learn more about Hope's Journey, click here. $ometimes money costs too much. Married to one of the most lucrative and sought after plastic surgeons in SoCal, Megan Hamilton has it all. Her posh life, designer clothes, and stunning penthouse leave her wanting for nothing… or do they? Controlled by his obsessive pursuit of perfection, Doctor Matthew Hamilton will stop nothing short of breaking his young, spirited bride into a subservient trophy wife. But when parenthood enters their picture, the entire game changes. How far will Megan have to go to escape Matt's obsessive control and abuse? And how much will she have to lose before she gets there? 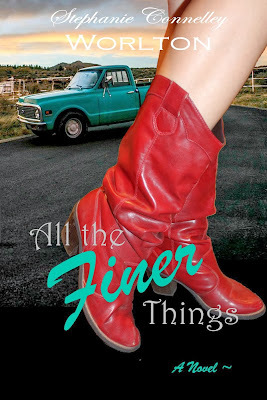 To read the first chapter and learn more about All the Finer Things, click here. Few callings strike fear into a woman’s heart like that of being a Girls Camp leader. 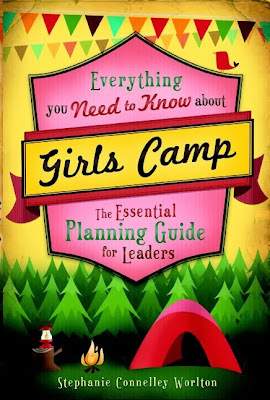 Whether you’re a new camper or a seasoned leader, Everything You Need to Know About Girls Camp is here to help. Step-by-step LDS YW Camp planning, meal ideas, budgeting help, and tips to simplify certification. For ongoing information about Stephanie's books, a taste of her non-book-related projects (the kind that usually include sawdust, paint, or dirt! ), or to simply learn more about what makes her tick, check out her BLOG. For updates on new releases, book sales, and even FREE book announcements, please sign up for Stephanie's newsletter.